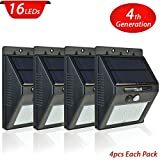 INNOVATIVE SOLAR LED OUTDOOR LIGHT - A smart lifestyle needs smarter solutions and our Solar LED light is certainly one such innovative product - SEGARTY wall-mounted LED Outdoor Solar Lights offer an ideal lighting solution for your garden, patio, porch, rooftop, driveway, or aisle. The built-in rechargeable battery exploits sun's energy to lighten up your space - absorbs it during the day, stores it and powers the light panel from dusk till dawn. INTELLIGENT DESIGN WITH MOTION & LIGHT SENSORS - No more do you need to remember to switch the light ON or OFF. The light automatically switches ON as it detects dark and switches OFF at dawn. 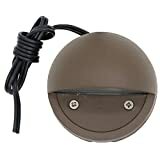 Moreover, these LED Security Lights operate in dim or soft light mode when there is no motion and switch to bright light mode when any moving subject, be it vehicle or human, enter in its 5-10 meter range on either side. INSTALLS IN A BREEZE & EASY TO USE - The solar motion light is also extremely easy to install with the help of accompanying accessories which include screws and screw column, and doesn't require you to look for any special accessories elsewhere. The use manual included with the lights makes life even more easier for you - so go on, and use them as either Solar Garden Light, LED Security Light, Solar Landscape lighting, Solar patio lights or Solar Yard Lights. WATERPROOF, DURABLE, SUPER BRIGHT & ECO-FRIENDLY - Our solar lights for outdoor functions is designed to survive the adverse environmental conditions - these are IP65 rated and made up of sturdy ABS+PC plastic. 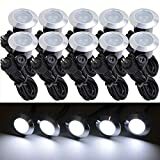 Moreover, the 16 Pcs LEDs that light up the lamp can produce super-bright incandescent light (max 25 watt) to light up your space sufficiently and continues to provide consistent performance in the long run. Being solar powered, of course means less environmental impact! 100% RISK-FREE SATISFACTION GUARANTEE - We also offer you 100% risk-free satisfaction guarantee to let you buy with confidence; no questions asked. However, we are quite sure that you will be super-impressed with the premium multi-functional design (security lighting, smart lighting, décor lighting or landscape lighting), the ease of installation and the sturdy construction, and will love yourselves for the decision of buying it! Are you looking for a smart lighting solution for your garden, patio, driveway, stairway, terrace or any other outdoor location? Would you love to have an LED outdoor light that keeps your outdoor space lit all the time without sky-rocketing your utility bills, resolves your security concerns, and makes the space look modern and chic too? 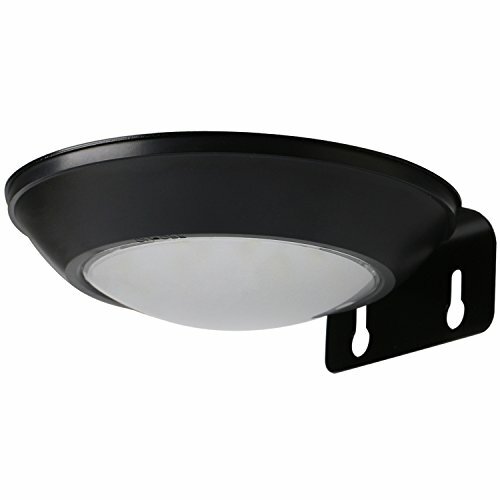 ORDER NOW and Get this Incredible LED outdoor Lighting Delivered to you in just 3-5 Days!